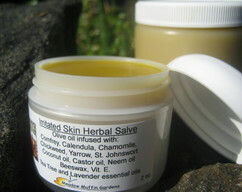 This balm goes far beyond moisturizing dry chapped skin. All these professions result in work worn cracked, chapped hands due to exposure to the weather, frequent hand washing or the bumps and scrapes that come with the job. 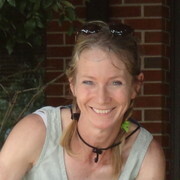 Or perhaps the idea of putting those shoes or boots back on in the morning causes you to flinch. 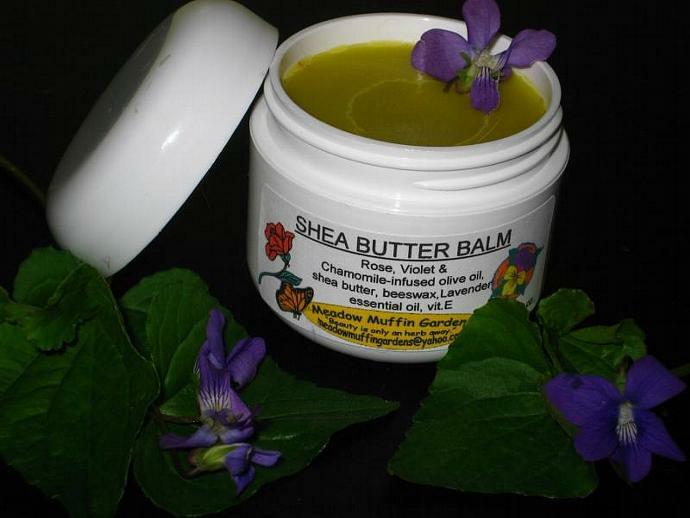 Shea Butter Balm will help repair and heal those sore blistered feet. Shea butter comes from the seed of the African shea tree. 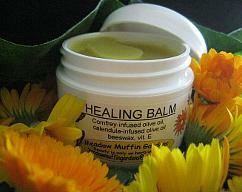 It is a therapeutic heavy butter that once it penetrates the skin leaves it soft,smooth and elastic. 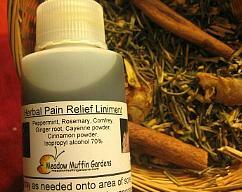 Very useful for dermatitis and psoriasis sufferers. High in beneficial fatty acids, vitamins A and E, shea butter also acts as an anti-inflammatory. Olive oil is beneficial on its own but once infused with various herbs it becomes very healing. Chamomile, rose and violets are excellent sources for inflamed and irritated skin conditions. Lavender essential oil is added not only for its wonderful scent but its skin-reparative properties earn it a well-deserved reputation in skin care. 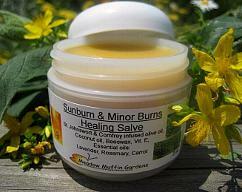 Using this salve with cotton gloves or socks before sleep will enhance and aid the healing process.